Learn the basics! Includes an introduction to the wiring regulations, legal requirements, electrical changes, basic electrical principles and more with both theory and practical work. This three day theory and practical course is suitable for beginners and those who want to enter the electrical trade. The course includes electrical installations, methods and, wiring and background to inspection and testing. If you have no formal qualifications or have no knowledge of electrical systems, this course is ideally suited. If a basic course in inspection and testing is required, please see theIntroduction to Inspection & Testing of Electrical Installations Course. The Domestic Electrical Installer Course Package has been designed to allow industry beginner candidates to become qualified domestic installers. PASS Training run PASS PAT Testing competency courses across the UK, which include practical and theoretical elements. The Basic Electrical Training Course has been designed for beginners and tradesmen looking to gain basic training and information for the electrical industry in order to start a career as an electrician or domestic electrical installer. 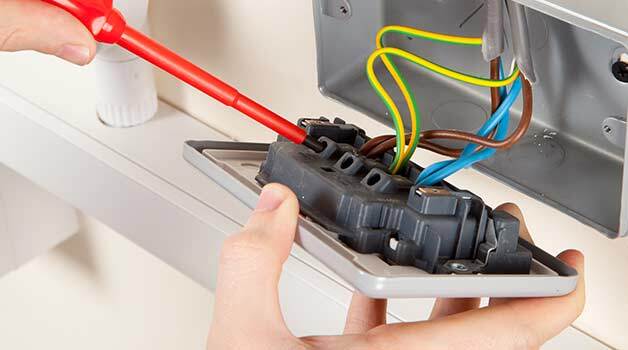 The Basic Electrical course is an excellent introduction into the world of electrics. If you are thinking of entering the industry this course is essential.